5:15 PM ET. Our CoverItLive session has ended and Elaine Marshall was very forthcoming on the issues and any questions that you don’t see answered in the chat (see replay here), you can add in the comments and they will be forwarded to her. Text version of the liveblog is below the fold. Note: The Blend has not endorsed a candidate in this race; we want you to decide — this is a critical race given the balance of power in the Senate, so keep in mind that we need elected officials in place who are willing to show their hands (and spines) re: LGBT issues. The discussion with Sec. Marshall is running on the front page while we’re live starting at 4:30 PM ET; there is also a permanent page for the live and archived event. We’re pleased here at the Blend to welcome North Carolina’s current Secretary of State, Elaine Marshall. Marshall made history by being the first woman elected to statewide executive office in 1997 and she’s a popular official here; she has led in many polls, though she’s not the favored candidate by the DSCC (imagine that!). She is running for the Dem nomination to face off against incumbent U.S. Senator Richard “Bank Run” Burr (R-Wingnut) in the fall. In contrast to 2008, when now-Senator Kay Hagan was running for the seat formerly held by John Edwards, there has been a genuine interest by Marshall and her rival Democrats (including Cal Cunningham and Ken Lewis in courting the LGBT vote. And not just behind closed doors or fundraising campaigns, but by clearly and publicly discussing positions on the issues. For the LGBT community and our fight for civil rights at the federal level, this is a significant development with Senate control in the balance — North Carolina is definitely fighting ground for moving a progressive agenda forward. With an Obama win here in NC, the state has been trending Blue for some time now, with more of the state’s population living in urban and suburban areas than rural ones, and the many transplants to the area are solid Democrats, along with the large minority population activated with the last election. My city, Durham, is in fact a majority minority city, and any serious candidate for the U.S. Senate has to win here. Overall, the Triangle is a critical area to cultivate solid support. The primary here is on May 4, so they are almost on the home stretch — and each Dem wants our vote. Repealing “Don’t Ask, Don’t Tell” – Elaine believes that if people are willing to serve, then we should honor them. Signing up to join the United States military is one of the most courageous things anyone can do, and as U.S. Senator she would fully support the repeal of this outdated policy. If someone is willing to fight for our country, we should not ask them to lie about who they are. Doing away with the “Defense of Marriage Act” – Elaine believes it is not the Federal government’s job to discriminate against anybody including when it comes to sexual orientation. As U.S. Senator, Elaine would support the repeal of DOMA and fight to restore the idea of equality for all Americans. Richard Burr has been a stalwart opponent of any rights for LGBTs and civil rights generally, so he has to go. While that statement alone is gasp-worthy, the story gets even more appalling: this issue had a chance to be ended – once and for all – in the Senate HELP Committee in 2006. At that time, an amendment was introduced to the Health Insurance Marketplace Modernization and Affordability Act of 2006 that would have forced insurance companies to stop ignoring state laws that provided protection for victims of domestic violence, specifically when it came to denying them insurance coverage. On April 1 at 8:00 PM ET, candidate Ken Lewis will join us at the Blend. Prior to that, the Western Wake Democrats will meet at 7PM on Tuesday, March 30, 2010 to hear from Ken Lewis. The meeting will be held at the Glenaire Retirement Community in Cary. The Glenaire is just north of W. Cornwall Rd. about one block west of Kildare Farm Rd. Cal Cunningham spoke to me at the Durham for Obama’s U.S. Senatorial Candidate Forum with the candidates on March 15 that he’s eager to participate; so far nothing from his camp about a firm date. Pam Spaulding: Hello, we’re live. Pam Spaulding: Hi Sec. May we call you Elaine? 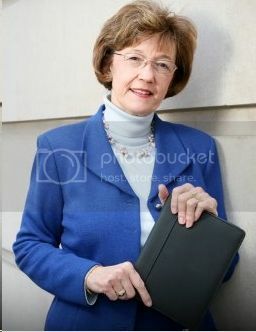 Pam Spaulding: or future Senator Marshall? Hello Pam, here to support Elaine and learn more about Pam’s House Blend too! Pam Spaulding: We have a short period of time so we’ll get right into some questions. Elaine Marshall: ok yes lets do it! Pam Spaulding: As a candidate from the South, you’re well aware of the role religion plays in society; Senator Burr no doubt will play this up during his campaign. As you support the repeal of DOMA, how will you make it clear that you are advocating a change in the status of civil, not religious marriage, something marriage equality proponents continue to conflate even though the U.S. has a clear separation between church and state, with the repeal of DOMA not affecting any church’s belief systems on religious marriage. Autumn Sandeen: I’m here in San Diego, and my job is going to be to approve the messages that come in from our blenders. Elaine Marshall: Thanks for having me as a guest. Pam Spaulding: Thank you barista Autumn! I’m here too. Thanks for putting this together Pam! Pam Spaulding: Candidate Marshall’s here and answering your questions. She’s working on my first one…. Elaine Marshall: I think being clear in my position people will understand that we are not changing the status of religious marrage. Pam Spaulding: Do you think Sen. Burr has any credibility on this issue? Hello Sec. Marshall, a real pleasure! Would you use your Senate seat to push for marriage equality in North Carolina? Imagine, one of the few states to have marriage equality being in the South! I think it would do wonders for our reputation AND economy. Elaine Marshall: No. Burr’s shown what he is about – dividing people. Whether the issue is DOMA, or HCR his only answer is no. Pam Spaulding: @ Kyle: Sec. Marshall supports the federal repeal of DOMA, which would help on that front, but in NC, I think we’re going to have to wait on the U.S. Supreme Court to help us here in NC. Kate and I were married in Canada in 2004 and we have no legal standing here in my home state,. Thanks for participating Sec. Marshall. You’ve expressed support for the repeal of Don’t Ask, Don’t Tell and doing Away with DOMA. In DC , we seem to have many politicians who support pro-gay policies but don’t want to take votes because of concerns (probably unfounded concerns) about voter backlash. Have you experienced push back or criticism for taking those pro-LGBT positions in North Carolina? Seems like a campaign is where you’d hear it from the voters. Jake Gellar-Goad: I’d like to hear your stance on Voter Owned Elections/Publicly Financed Campaigns. After working on Mark Kleinschmidt’s Mayoral Campaign and supporting Penny Rich’s Town Council campaign and seeing them each having less money over all, but still able to win the most votes in their respective categories as voter owned candidates I think I’d like to see more of this at all levels of government. And on a somewhat related note of election reform and I wonder where you stand on efforts of those like Congressman David Price and Alan Grayson to introduce sunshine legislation following the recent SCOTUS ruling? Elaine Marshall: No doubt there are those in NC and other states were people are not supportive of LGBT rights, but I always supported equality without equivocation. If that is what someone is going to vote on I won’t have that vote. Pam Spaulding: Note to Joe: the only pro-LGBT legislation that has been passed in NC has been the school anti-bullying bill, which is trans-inclusive. We’re hoping to have some state employment anti-discrim lege at least get introduced. Pam Spaulding: Another Q from me: As Senator, how would you handle the issue of LGBT rights and U.S. policy and aid when it comes to virulently anti-gay countries such as Uganda, which is considering legislation that would criminalize homosexuality that includes imprisonment, and at one point execution for simply being gay. It also criminalizes any open support or affiliation with someone who is gay. Joe Sudbay: Thanks, Secretary Marshall and good luck on May 4th. And, thanks to Pam for hosting this. Elaine Marshall: I support Rep. Price’s proposal for stand by your ad, shareholder approval, etc. The Citizens United ruling was an total overreach by conservative activist’s on the Supreme Court, and Congress must act to blunt the far reaching effects of their opinion. Locally I’ve been in favor of this, but there are a number of issues that need to be worked out such as because different contribution amounts apply to different offices creating confusion for voters – the Beth Wood campaign is a prime example. Autumn Sandeen: Elaine, I’m among the many lesbian, gay, bisexual, and transgender veterans who’ve served our country. I personally identify as transgender. I served 20-years in the U.S. Navy, and I’m a disabled, Persian Gulf War veteran with a 100% VA Disability rating. My disabilities, like many veteras coming back from the wars of Iraq and Afganistan, are mostly mental health related, and they’re service connected. May I ask your take on veterans issues (which are the important issues to you, etc. ), especially relating to disabled veterans and LGBT veterans who may have dificulties accessing assistance in the VA system? Elaine Marshall: In Uganda their policies that they are looking to make law are the most opposive and offensive I ever read about. Like President Obama, I oppose these efforts and we should use our diplomatic influence to make them reconsider this draconian legislation. Autumn Sandeen: I appreciate that you’re a strong supporter of dipolomay. Jake Gellar-Goad: Elaine where do you stand on Uniting American Families Act? UAFA being a measure to allow all bi-national married couples (or whatever permanent partners terminology a given state or country uses) the same immigration right to be together that straight couples are allowed. Elaine Marshall: Great question Autumn. NC has a large military presence including a number of VA facilities. With many of the injuries from the conflicts we’re in I think more funding needs to go into mental health services. My attitude has been that we have put these folks out there in harms way and we owe it to them to make sure their medical needs are taken care of when they return to civilian life. Once we repeal DADT the VA needs to ensure that all vets receive the same level of treatment. Pam Spaulding: Q: What logical reason does any sitting U.S. Senator who is a Democrat have to oppose the Employment Non-Discrimination Act when anti-discrimination language is in the party platform? How can a party play politics with a fundamental civil rights issue that shows the difference between Dems and the GOP? Autumn Sandeen: Thank you ma’am. LGBT people have high rates of smoking. How do you reconcile the national call for healthier Americans, including insurance penalties for higher health risk, and the agrarian role of tobacco in North Carolina, Sec. Marshall? Elaine Marshall: Pam, yes you’re right. In our party platform we support fundamental civil rights. So it’s hypocritical for many in our party to run for the hills so to say on this and other “tough” legislation. Our recent HCR battle is a prime example of this. Elaine Marshall: Actually in NC we have an in-door smoking ban. Pam Spaulding: Do you think it’s incumbent for your challengers to step up with strong pro-LGBT statements to contrast Burr’s 0% record on equality in this race? Pam Spaulding: Elaine, I’m so glad for the ban in this state. It has made dining out so much more pleasant,. Elaine Marshall: And NC has invested in smoking cessation programs not withstanding our tobocco heritage. Jake Gellar-Goad: This question is probably the most important to me of all the ones that have been asked. Will you use your answers here to craft language to put onto your website and expand your civil rights section? Diego Sanchez: Sec. Marshall, can you talk about how your background as an educator, small business owner and civil servant broadens and deepens your vision for our country’s priority needs over who you’d run against? Elaine Marshall: I can’t speak for my opponents, but being in favor of civil rights for all is a winning issue. Pam Spaulding: Jake: We’ll have this liveblog on file to refer to for all the candidates who accept the liveblog – Ken Lewis has accepted for 4/1, Cal Cunningham’s team hasn’t responded with a date. Pam Spaulding: Elaine, where do you see your main strategy in terms of defeating Burr, who has deep pockets of special interests to try to mask his ineffectiveness and actions against the working people of NC? Q; What do you propose should be done on a federal level to deal with the issue of the grossly disproportionate numbers of LGBT teens among America’s homeless youth and their frequent difficulties in obtaining services? 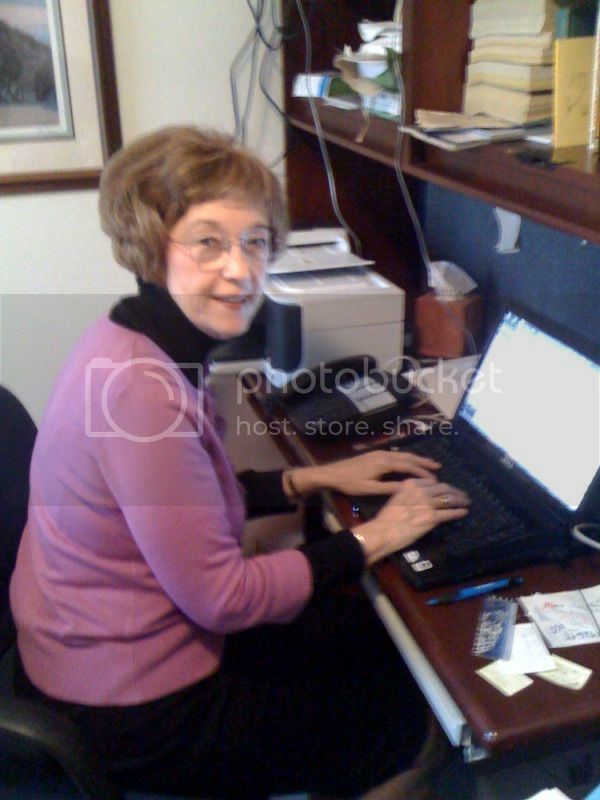 Pam Spaulding: Mike, Elaine, will it be possible to either email or post in our blog comments any questions you aren’t able to answer in your time today? Well my experience as a teacher, small business owner and attorney who has represented parties in family law issues, small business issues, and on behalf of injured parties against big corporations and insurance companies has given me real insight into the day by day challenges people face. And now as a public servant I continue to learn the challenges that business people face on a day by day basis. The problem solving I have done throughout my life has always been based upon getting the job done, moving beyond obstacles and doing the right thing based upon a true and deep understanding of the issue. Mike Nellis: Sure Pam, feel free to send my any question that doesn’t get answered. Mike Nellis: No problem. Thank you, really! Pam Spaulding: We are at the 5PM ET mark; does the Sec. have addtional time, or should we wrap? To take on Burr I feel that my work as Secretary of State in reforming NC lobbying laws, taking on Wall Street and my passion for reforming the way they do business, versus Sen. Burr’s record as being a lapdog for Wall Street and lobbyists is a stark difference that voters will appreciate. Autumn Sandeen: That is a sad record that Sen. Burr has. Pam Spaulding: I can’t wait for Burr to defend his record in a debate. Elaine Marshall: Ok Pam – I have to get ready for an event in Greensboro tonight. Thank you all for the great conversation and I look forward to continuing the dialogue. Pam Spaulding: And his atrocious position on health care — with so many NC citiens without health insurance. We have the best candidate who clearly steps up, Jake, and that’s Elaine. Pam Spaulding: Thank you so much for your time, Sec. Marshall. We will forward the questions left over from the liveblog. Jake Gellar-Goad: Thanks so much for doing this Secretary Marshall! I hope we can see Senator Marshall come chat with us often as well! Thanks for having this event, Pam! Thank you, Elaine! Great to follow! Mike Nellis: Thank you Pam for putting this together, the questions were great! Pam Spaulding: Ask here and I’ll forward to her. Mike Nellis: If you didn’t get a chance to ask a question post it anyway. Mike Nellis: I will pass them along. Promise! Autumn Sandeen: Mike, thou are awesome. Jake Gellar-Goad: My question on UAFA I think maybe got lost in the shuffle (unless I just missed the answer) so I would like some follow up on that. Autumn Sandeen: So pose your question, Alexandria! Mike Nellis: Jake, will follow-up for you. Jake Gellar-Goad: As I’m sure you are aware, North Carolina joined the growing number of states with LGBT inclusive anti-school bullying laws last year, and I wondered if you would support such a measure nationally? I wanted to sound professional, so I wanted to ask Sec. Marshall her thoughts on the Wake County Education Board Crisis that’s going on right now. Ask her this if you would: It really is a campaign framing question. Bob McDonnell won in Virginia (for governor granted but nonetheless) by really downplaying his anti-LGBT record and focusing on economic issues etc. Will she call her opponent out and not let him minimize his anti-GLBT record. We see with McDonnell how dangerous it can be when these haters fool the voters then get in office and take clear steps backwards. Mike Nellis: Alexandria, I’ve copied it and will get it to Elaine asap. Autumn Sandeen: For those of us who aren’t in the know, what is the situation, Alexandria? Mike Nellis: Alice, you too. I’ve copied it down. Pam I love the name of your site and I’m a staunch coffee drinker! RainbowPhoenix: Q; What do you propose should be done on a federal level to deal with the issue of the grossly disproportionate numbers of LGBT teens among America’s homeless youth and their frequent difficulties in obtaining services? Thanks, Pam. Man…scary scary stuff. Mike Nellis: Phoenix, that’s a good one. I promise we’ll get you an answer. Pam Spaulding: Hey, the GOP here in NC is so bad that they didn’t even let the Log Cabin Republicans have a table at its convention. Autumn Sandeen: Wow. The LCR not welcome at their convention. So much for a big party tent. I did see that one..I think from your blog..that was INSANE! I’m in Indianapolis…I feel your pain. Indy itself is fine but outside city limits Indiana is a scary place. This was a great idea and I am sorry I got here to late to speak to Elaine on issues. She has been a strong supporter of state employees in NC and I know she will continue to work in DC to make sure everyone’s rights and benefits are protected. Will you be doing this again later? Pam Spaulding: Mike: could you have Elaine share her opinion of the conservative turn of the Wake County School board? Mike Nellis: Pam, I will add it. Pam Spaulding: OK Mike. Thank you for your time as well! Autumn Sandeen: Okay Mike. Thanks so much for you and the Secretary of State being here. Pam Spaulding: We’re signing out everyone; continue the discussion in the comments on the Blend. Mike Nellis: Re: guest — we’d love to come back after the primary and discuss the issues and defeating Senator Burr. Bye everyone! Diego Sanchez: Thanks, Pam and Autumn, too. Thanks also for saying you’ll get additional questions to them if time ran out. Pam Spaulding: We will invite Elaine back, Mike. Autumn Sandeen: You’re welcome, Diego. Autumn Sandeen: Okay, we ready to close? Pam Spaulding: Ciao everyone and thanks for joining us.